Designed for SD card and memory card used in digital camera or mobile phone, RecoveryRobot Memory Card Recovery software effectively recovers lost, deleted, corrupted or formatted data, photos, video, files from various memory card types including SD Card, MicroSD, SDHC, CF (Compact Flash) Card, xD Picture Card, Memory Stick and more. The whole card recovery process is designed as step-by-step, so all you need to do is clicking the mouse. What RecoveryRobot Memory Card Recovery is capable of? Why Choose RecoveryRobot Memory Card Recovery? It has a comparatively high memory card recovery success rate. RecoveryRobot Memory Card Recovery is amazing memory card recovery software that allows you to recover your images, Audio, Music, Video or raw files from SD Card, SDHC Card, microSD Card, MMC Card, xD Picture Card, miniSD Card, CF Card, memory sticks and local drive. Do not take RecoveryRobot Memory Card Recovery to be just another memory card recovery software available in the market. RecoveryRobot Memory Card Recovery comes with powerful features allowing you to deep scan your memory card and recover data from every memory card type mentioned above. Recovery speed is optimized to save your time in the process. RecoveryRobot Memory Card Recovery's user-interface is made quite easy to be understood at a glance. You will need no help of any source or professional help to recover your lost files from the damaged memory card which is a matter of a few minutes. What's more, if the memory card is physically corrupted for some reason, don't worry - use RecoveryRobot Memory Card Recovery to access the information stored on it and retrieve it immediately. In most cases, when it comes to corrupted or damaged memory cards, you'll be able to recover all, if not most of the files present on your memory card with RecoveryRobot Memory Card Recovery. Intuitive interface, making RecoveryRobot Memory Card Recovery’s use accessible to experts and not so savvy computer users alike. So download RecoveryRobot Memory Card Recovery today and never worry again about losing important files on your memory card. 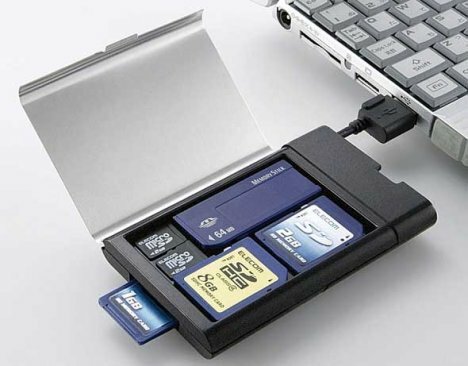 Do-It-Yourself, Step-by-Step Memory Card Recovery; No Technician Is Needed. Before starting using RecoveryRobot Memory Card Recovery to recover your files, please make sure you have put your memory card in a card reader and connect it to your PC. Make sure you have installed all the required drivers or software to show the memory card properly in your PC, or your memory card will not be recognized. After you connected your memory card to your PC. The card will show in RecoveryRobot, simply click the "Scan" button to start a scan for recoverable files. Please note the time it takes to complete the scan is determined by the volume of the memory card. After scan is complete, you can browse and preview the photos listed in the original tree structure of the memory card. After you decide which files you want to recover, please select them all and click the “Save” button. Choose the path you want to save these files to and it’s done. Now you can see the recovered files in the destination folder.